Eye protection is a critical, ongoing concern for safety specialists. The human eye is astounding in its complexity and performance. It's also especially vulnerable to everything from contact with many chemicals to poking and piercing injuries. Additionally, damage to the eye can lead to serious quality of life issues in an especially harmful way. All employees at risk of suffering an eye injury need to have the right personal protective equipment in place, as well as emergency response tools like eyewash stations and a strong understanding of the best way to keep this unique part of the body safe as they go about their daily duties. Eye protection is a vital consideration in nearly all industries. There are a number of considerations to make when developing or improving plans related to employees' eye safety. Some are obvious: The Occupational Safety and Health Administration mandates the use of eye protection for workers engaging in specific tasks, and eye protection must meet industry and national or worldwide standards. Other aspects of eye safety are just as important, but aren't as easy to manage. Developing a culture of proactive and cooperative eye safety can definitely pay off in terms of worker health, but it's harder to create such an environment. While a cut-and-dried topic in terms of compliance or non-compliance, using the proper equipment in the right situations is still vital for overall eye health in the workplace. Leaders of safety programs and initiatives must be confident they have the right PPE on hand and can quickly replace any that's damaged in an accident or worn down over time. Keeping a reserve of additional eye protection is a very basic but useful principle. 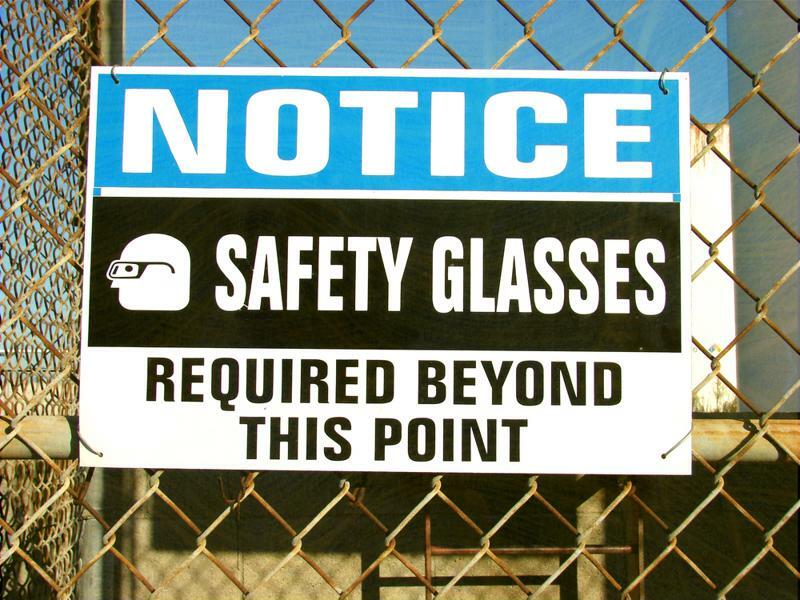 Regular inspections of eye protection should also be on the radar, and that duty can be delegated to employees who understand and buy into a culture of eye health and safety. Most people recognize the fragility of the human eye, but just as with any safety concern, it can be tempting to cut corners to save time or reduce daily burdens. Building a culture that supports eye safety means fewer instances of improper procedure and potential for injury. Engage workers about keeping their eyes safe and make sure they understand how to keep them protected during their day-to-day work. Sharing specific do's and don'ts, like this list developed by OHS Online, can help them address certain emergencies that affect themselves and others. Discussing the results of eye injuries, while somewhat of a scare tactic, can lead to a greater appreciation for safety as well. Not all eye protection that meets necessary standards is totally equal. Knowing the differences between manufacturers and their various lines of products, and make sure employees don't have any major issues with the equipment, whether due to comfort or style, as EHS Today pointed out, is vital. The appearance of eye protection is, unfortunately, just as much of a factor for some employees as their protective qualities. It's far easier, within reason, to choose options that they like than to force them to wear something they don't – and may potentially remove while on the job.